Has anyone had experience replacing some of the existing outlets in their AS with these outlets that have integrated USB ports on them? I'd like to install these in our AS, but I don't know that the wall depth is sufficient to flush mount this type of device. The one I've linked above looks pretty deep, but I'm wondering if there are other units out there with a shallower draw that would work in an AS. I looked at doing this but realized that buying a plugin surge protector with both plug outlets and usb was simpler and cheaper. I installed one in the bedroom replacing the outlet in the nightstand because depth was not an issue. I agree that it is a concern with all of the outlets that are shallow. I'm with mojo. GE model found @ Wallyworld for less than 15 bones. If you do have a space issue, you can put on a box extension, plastic or metal for a couple of bucks, available at any hardware store. Yes, it will protrude out from the wall a little which might not be pleasing to your eye but it will solve your problem, cheap ! Danny Bell has it right! But you also must place the 120VAC outlet into a wiring receptacle box, something like a short re-model box so that the connections are contained. 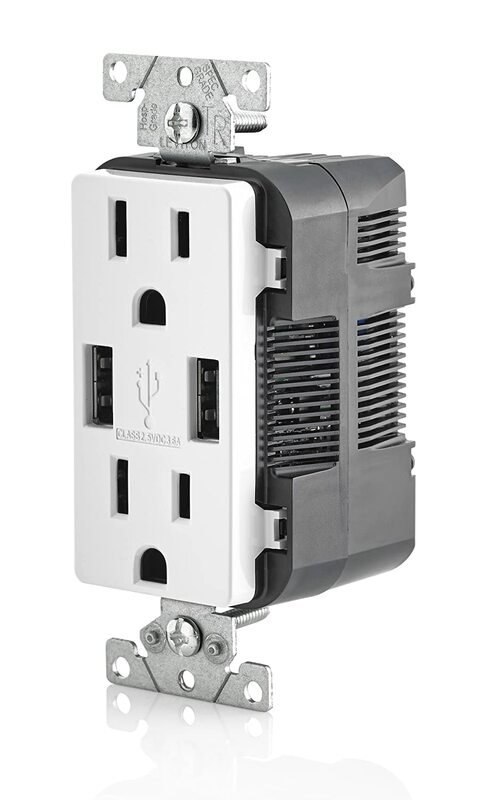 The 2" Airstream (and almost every other RV) wall thickness is too shallow for the box/outlet combination. If you limit the positioning to placement in cabinets or counters, you won't have the depth problem. The back of these dal outlets are larger than most other types and take up almost all of the remodel boxes. I have done many placements, but all were in wood cabinets/night stands with available depth.